To protect the city from sea-level rise, Mayor Bill de Blasio proposes extending the southern part of the island into the river. New York City Mayor Bill de Blasio wants to protect Manhattan from climate change by expanding the island’s southern shore to keep rising seas at bay. 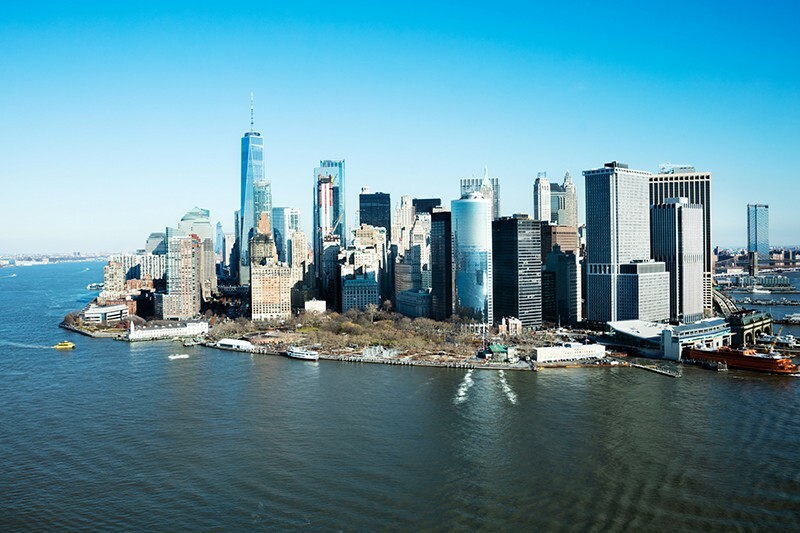 The US$10-billion plan would extend Manhattan Island by as much as 150 metres into the East River by using materials, such as sand or concrete rubble, to build an elevated landscape. Lower Manhattan is a transportation hub for the city and a global financial centre that flooded during Hurricane Sandy in 2012. The project would help to protect the area from what could become daily floods on some streets by 2100, city officials said during a 14 March press conference, citing their assessment of climate-change risks. New York City will seek federal and state funding to finance the project, which will be difficult, de Blasio said. He added that the city would seek private investments to pay for the expansion if necessary. Such funds could come with strings attached ― such as an agreement to develop property on any newly created land. The project would also need to meet environmental regulations that protect freshwater resources and ecosystems. The plan has potential if it’s designed as a true buffer zone rather than as a real-estate opportunity, says Michael Oppenheimer, a climate scientist at Princeton University in New Jersey. The buffer zone could be constructed as a kind of green space with parks, he says. The project would build on an existing $500-million effort to fortify the current shoreline, which is itself an extension of the island constructed using sand and landfill materials.